For ladies fashion the size is valuable info that is printed very small on the price tags.. how can I enlarge them?? 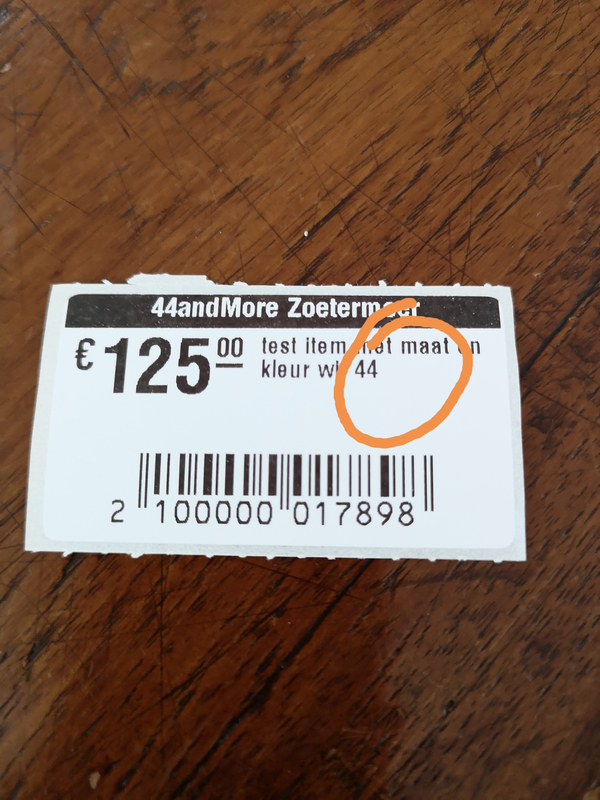 @44andMore Would you be able to send a screenshot to specify what you’re talking about one of your labels? This is a matrix item for colour (wit) and size (44). Especially size is important info for customers and we want it to be the font the price info is on the tag. I have the same problem. With the size integrated into the description it is too hard for anyone to find, especially the customer. I just recently started using the custom SKU for the size. You cannot adjust the font but it does however set it apart and makes it easier to identify. I also type the word "size" as well. I hope this helps you. LS label system is so bad. Obviously a retailer was not involved in the design! It fails in so many ways!